A blockchain is an exciting development that is transforming the technology landscape at a rapid rate. Originally invented by Satoshi Nakamoto as the public ledger for Bitcoin in 2008, blockchain technology is being used in many interesting and innovative ways. A blockchain uses a ledger. In basic terms, think of a blockchain as large list of records (knows as blocks), that is secured by cryptography. It’s typically distributed across a large number of nodes, making it highly available and tamper proof. 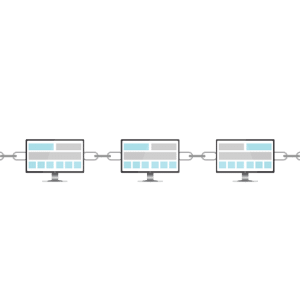 A common analogy for blockchain is that it’s similar to your bank account statement, however it’s far more powerful and flexible than that. Blockchains can be used for smart contracts that run business logic and storing tokens and assets.